The Nonfiction Reading Series of the Department of Writing Studies, Rhetoric and Composition is hosting a lecture and reading with Ahmed Badr on Thursday, Nov. 15, from 4-5:30 p.m. in 319 Sims Hall. Badr is an Iraq War refugee and a United Nations Young Leader from the Office of the Secretary General’s Envoy on Youth. The lecture, “Rewriting Tragedy: Empowering the Displaced,” is free and open to the public. Communication Access Realtime Translation (CART) will be available for this event. Badr is a writer, social entrepreneur, poet and former refugee from Iraq. On July 25, 2006, his home in Baghdad was bombed by militia troops. He and his family relocated to Syria as refugees for two and a half years before receiving approval to move to the United States. He is the founder of Narratio, a global platform for youth empowerment through creative expression. Narratio publishes works of art from all over the globe and hosts workshops centered around the power of storytelling and creativity. Together with the Syrian artist and architect Mohamad Hafez, Badr co-founded UNPACKED: Refugee Baggage, a multimedia installation that remodels the homes of refugees inside a series of suitcases in an effort to humanize and give voice to a demographic that is often viewed in the abstract. 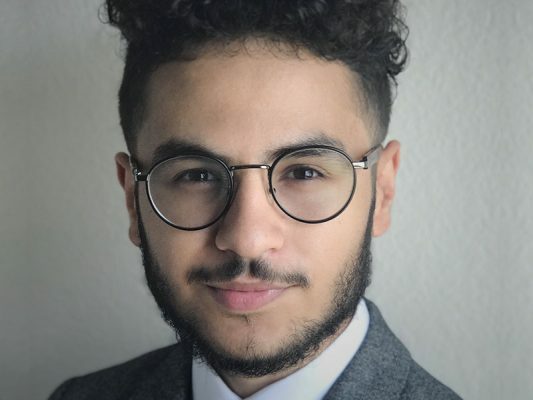 An undergraduate student and fellow at the Allbritton Center for the Study of Public Life at Wesleyan University, Badr works with the U.N. Migration Agency as the host of the “A Way Home Together” podcast. With work featured by SAP, TEDxTeen, the U.N., Instagram, NPR, Global Citizen and others, he explores the intersection of creativity, the refugee experience and youth empowerment. For more information, contact Eileen Schell at eeschell@syr.edu or 315.443.5146.